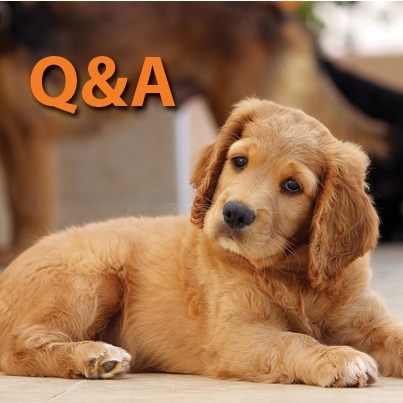 During each of our National Webinars, Entrust hosts a Q&A (question and answer) segment after the presentation. While we expect to receive questions about the specific topic, we love to get questions spanning the gamut about self-directed retirement investing. Our favorite is seeing a mix for requests about basic investing explanations to advanced investors in a specific predicament, reaching out for more education. While we, as administrators and not advisors, cannot give advice about specific investments and strategies, we aspire to provide answers and educational resources, or direction to legal issues, for all inquiries. Here are some of those questions, taken from real investors and prospectives. Today, we’ll focus on investing with Real Estate IRAs. Q: How can I combine self-directed IRA funds with non-IRA funds to buy a house to fix and flip? A: First of all, this only works for an initial simultaneous purchase of the property. 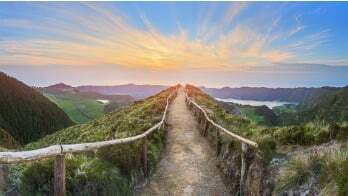 At the time of initial purchase, the buyers on the purchase contract will need to be titled in the name of the self-directed IRA and the individual (who has the non-IRA funds). The amount contributed by each to the investment property determines the percentage of ownership. For example, if the IRA pays $300,000 and the individual pays $200,000 to buy a $500,000 investment property, the IRA owns 60% of the investment and the individual owns 40%. Each owner will have an undivided interest according to the percentage of ownership. All expenses are paid based on percentage of ownership and the sale proceeds are allocated the same. Keep in mind, adding funds to the IRA may be problematic in the future since the property may become a disqualified person after the purchase of the property. Q: Can I use two IRAs (Roth and Traditional) to purchase a single piece of property? A: Yes. Just like you can purchase an investment property with IRA and non-IRA funds, you can also partner two IRAs for the purchase. The amount contributed to the investment determines the percentage of ownership. Each IRA will have an undivided interest according to the percentage of ownership. Q: Can I buy a house with IRA funds but use non-IRA funds to help pay for repairs? A: No, as it is considered a prohibited transaction and will violate the IRS Code 4975. However, if eligible, you can make a cash contribution to the IRA and use the contribution to pay for expenses. Q: Can I personally use a piece of property that was purchased with both non-IRA and IRA funds? A: No, you cannot. The property is strictly for investment purposes only. You and other disqualified persons may not receive direct or indirect benefit from an asset that is owned by your IRA, even if the IRA only owns a portion of the investment. Q: If I buy a property with my IRA, can I then buy the property from my IRA to reside in once I retire? A: No, you cannot buy a property that is already owned by your IRA as the IRS has ruled it a prohibited transaction. However, you can take a distribution of the property in-kind by retitling the property to your name when you are ready to take a distribution for the property. Depending on the type of IRA the property is under, if taxable, the fair market value of the property will be reported on the IRS form 1099-R and will be includible as taxable income in the year of distribution. Do you have any questions of your own about investing in real estate with a self-directed IRA? Or maybe you want further clarification? We want to hear from you. Let us know in the comments section below. Your question may even be featured in the next article. For further information on conducting proper due diligence to avoid any prohibited transactions and unwelcome surprises before purchasing a real estate investment, we recommend you take a minute to read our exclusive report, What Due Diligence Is, Why It Matters, and How To Do It Well.